Amazon's next move: Managing your money? Amazon (AMZN) is already a one-stop shop for clothes, cloud computing, TV shows and even medicine. Will wealth management be next? In the future, Amazon could sell its customers a super-powered robo-adviser or access to cheap funds, analysts at Sanford C. Bernstein & Co. wrote in a report published on Tuesday. The firm argued that Amazon has countless advantages that would pave the way for invading finance. Jeff Bezos' company has a massive customer base including 100 million Prime subscribers. It has vast amounts of data on those customers. And that's not to mention Amazon's superior reputation. "We think Amazon is well placed to disrupt the industry," Bernstein wrote. 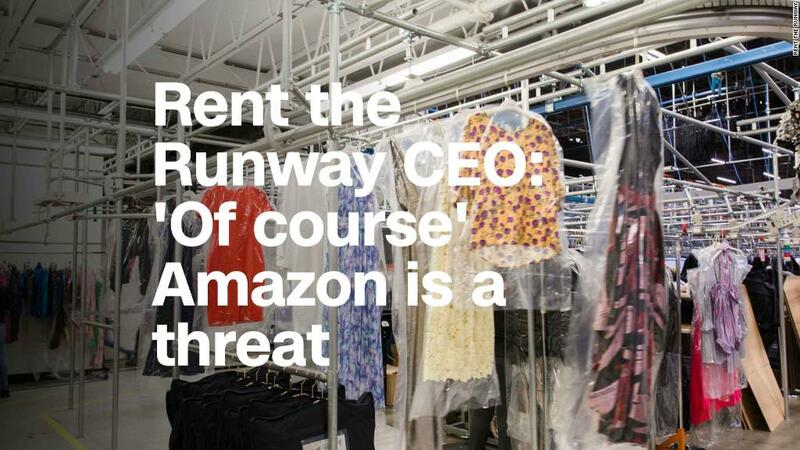 Managing money is a far cry from Amazon's core business. But it's not as crazy as it sounds. One of Amazon's biggest rivals is already in finance. Alibaba's (BABA) Ant Financial launched a money-market fund that quickly became the world's largest. Ant Financial used its payments service, Alipay, as a gateway to get customers to use the money market fund. Ant Financial has since created a robo-service that uses artificial intelligence to suggest stocks, bonds and commodities for customers based on their payment activity. "This is a model other tech companies could follow," Bernstein wrote. Amazon wouldn't even be the first American online retailer managing money. In January, Overstock.com (OSTBP) partnered with tZERO Advisors to launch a robo-adviser that costs $9.95 a month. Related: Are Apple, Amazon and Facebook the future of banking? Amazon hasn't announced a desire to enter wealth management. The company did not respond to a request for comment. But there are signs Amazon could be targeting finance. It's reportedly considering a person-to-person payments feature for its popular Alexa virtual assistant. It could even let drivers in Alexa-enabled cars pay for gas by using their voice. Amazon also held talks with JPMorgan Chase (JPM) and other banks about setting up Amazon-branded checking accounts, The Wall Street Journal reported in March. And Amazon has branched out in recent years. Last month, it made a big splash by purchasing PillPack, an online pharmacy that delivers medicine directly to customers. But managing money would be an entirely new ballgame — and one that could damage Amazon's reputation if it went wrong. "There is a clear risk to the brand. A mistake in fund management is not the same as sending a faulty product," Bernstein wrote. It's a tightly regulated industry, creating high barriers for companies that want to enter. Untangling the web of regulation could distract Amazon from its core business, where it faces competition from the likes of Walmart (WMT). Still, Bernstein argues that Amazon's strong status among consumers could give it a leg up in an industry that appears to suffer from a "lack of trust." For each of the past three years, Americans awarded Amazon the top spot in Harris Poll's annual corporate reputation survey. Go all in. Amazon could use a combination of AI and Big Data to directly manage assets. The analysts think this is unlikely because it carries the highest risk. Ironically, the biggest danger, according to Bernstein, is that the experiment would work so well that it would accelerate the backlash against how much user data Silicon Valley controls. Create a "supermarket." Customers would have the option of buying mutual funds and ETFs through Amazon that are managed by outside professionals. Amazon's wealthy customer base would give it significant leverage to negotiate for lower fees from asset managers. And those traditional asset managers would take most of the blame when investors lose money. Build a robo-adviser. Amazon could launch an automated platform that makes investment decisions by selecting stocks, funds and commodities. While robo-advisers like Wealthfront and Betterment have gobbled up billions in assets, the industry must spend heavily on advertising to lure customers. That wouldn't be a problem for Amazon or other big tech companies that have a loyal following of customers. "This could be a game changer in the economics of robo-advice," Bernstein wrote. Although robo-advisers like Wealthfront and Betterment have gobbled up billions in assets, the industry must spend heavily on advertising to lure customers.